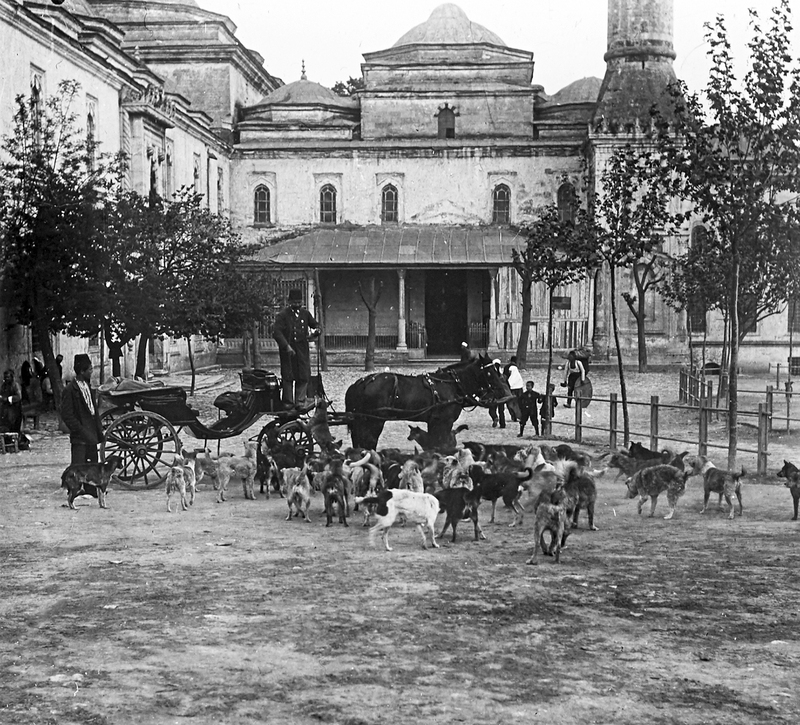 A coachman feeding the street dogs. Street dogs… They have been with us for centuries. 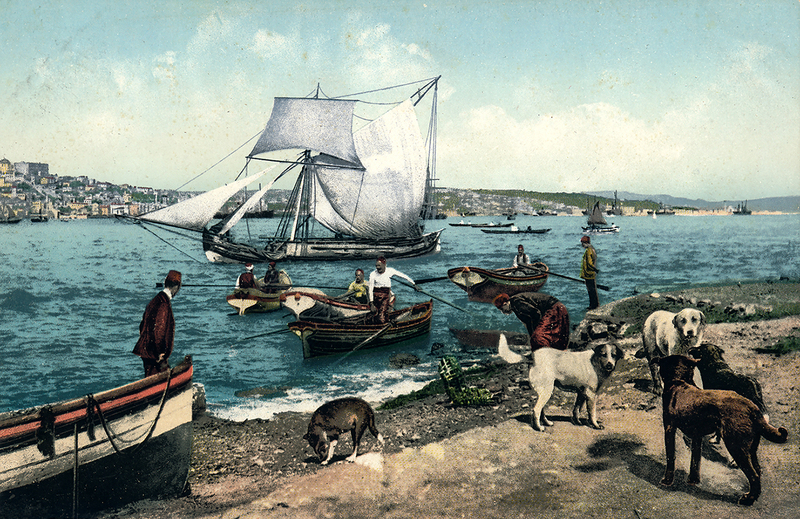 They assumed an important role in the social adventure of İstanbul, established their independent rule, expanded their conventional values, and embraced the notion of coexistence with unfaltering faithfulness. Much like the people of İstanbul, they were strangers to privileged classes; they represented not a given standard, but a cultural blend. With people of all ages and backgrounds, everyone’s own “neighborhood” in İstanbul was their home. These small worlds or neighborhoods constituting the universe of what was the İstanbul, the city, spun the cocoon of our way of living around a common sense of compassion. Street dogs at Seraglio Point.